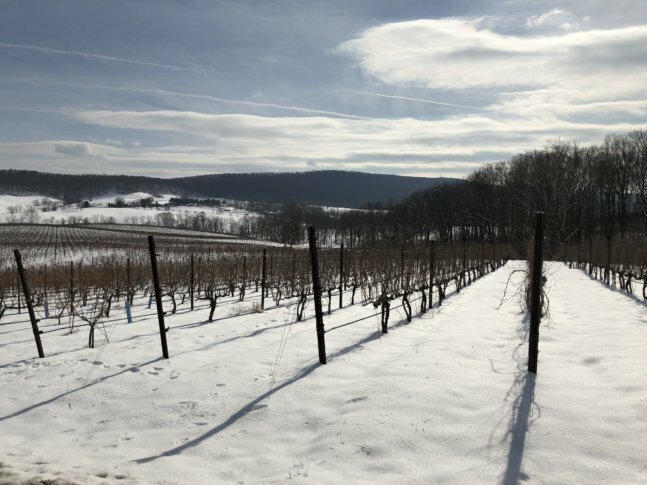 WASHINGTON — When Jennifer McCloud moved to Middleburg, Virginia, and opened a winery more than 20 years ago, she had a vision that stretched beyond bottles of cabernet and merlot. Her goal was to restore and showcase the productivity of the land she acquired — starting with the state’s native grape, Norton. Now, McCloud oversees the world’s largest planting of Norton — more than 40 acres in the ground, plus a greenhouse — at Chrysalis Vineyards at The Ag District, her 400-acre operation just off John Mosby Highway. Vines of tannat, petit verdot and Viognier are also planted in McCloud’s fields, but these days, grapes aren’t the only focus at Chrysalis. McCloud recently added a creamery, called Locksley Farmstead, which makes cheeses from the milk produced by her dairy cows that roam the land not suitable for grape growing. As part of the reported $478,000 expansion, she also built an outdoor bakery, constructed a fully equipped kitchen and hired a chef, Christopher Vincenzi, who’s worked in James Beard award-winning establishments, including the three-star Michelin restaurant The Inn at Little Washington. “It’s an ongoing thing,” McCloud said about the agricultural concept she has been working on for decades. As of last month, weekend visitors can get more than a pour of petit manseng or a glass of Norton Barrel Select in the winery’s tasting room. They can also order a cheese plate, filled with wedges of Gouda and Camembert, made and aged just one floor down in Chrysalis’ state-of-the-art creamery. “I just love the power when somebody asks, ‘Well, where does that come from?’ You just (point) right over there,” McCloud said. Vincenzi is also showcasing the creamery’s cheeses on top of pizzas, which he makes in a 55-inch rotating hearth oven. (A recent pie featured sweet potato puree, mozzarella, Camembert, burnt honey and bacon jam.) He has plans to add homemade charcuterie, breads and other specialty dishes to the winery’s offerings — there are even talks of multicourse dinners in the barrel room. But for now, McCloud and Vincenzi are focused on perfecting one thing at a time, utilizing everything they can from the land that surrounds them. “There are a lot of great pizza restaurants, but there are not a lot of great pizza restaurants that are making the mozzarella that goes on the pizza. That’s a pretty unique thing. And I have a lot of be creative with,” Vincenzi said.